After taking a short post-basketball hiatus from my blogging duties, I recently concluded it was high time for me to dig back in and begin casting more irrelevant opinions and thoughts surrounding the University of Louisville Athletics program. Let’s start this rejuvenated blog off by discussing Louisville Football and where things stand just a few weeks following an extremely well attended (23K+) 2015 Spring Game shall we? So, if there was anything made more apparent during this year’s Spring Game it was the following: the 2015 Cards will have a lot of offensive arsenal in their bag of tricks this season. After ringing up 59 points, the only real question surrounding the offensive side of the ball was who will be the leader at quarterback. The signal calling situation has UofL fans pondering if Coach Bobby Petrino will go with sophomore-to-be Reggie Bonnofan or if he will turn the keys to the Cadillac over to fellow sophomore Kyle Bolin who capped off the Cards’ regular season finale in 2014 by playing Superman against in-state rival Kentucky. Aside from the two capable sophomores, Coach Petrino and staff also have to consider one time starter junior Will Gardner as well as Penn State transfer Tyler Ferguson who made great strides this past spring in picking up the offense and showing of his rifle arm. Enough confusing options for you? 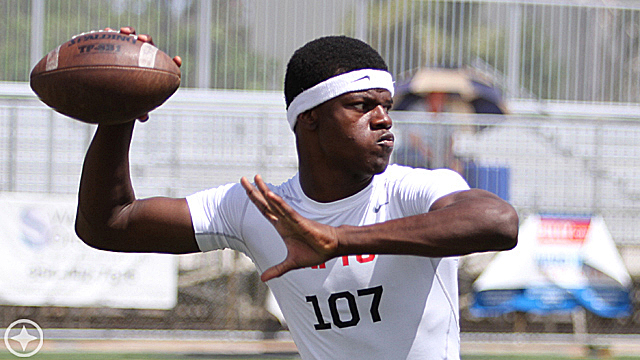 If not, then it should also be noted that the Cards will welcome in 4-star dual threat freshman quarterback Lamar Jackson once the fall semester begins who, although not likely to start, will most certainly push the other quarterbacks to continue getting better. One thing that IS clear regarding the QB situation is this: the Cards have a handful of options, all of which feature their own strengths. Despite who does win the quarterback job this fall, this Louisville teams looks to be one that will lean heavily on it’s running game this season. 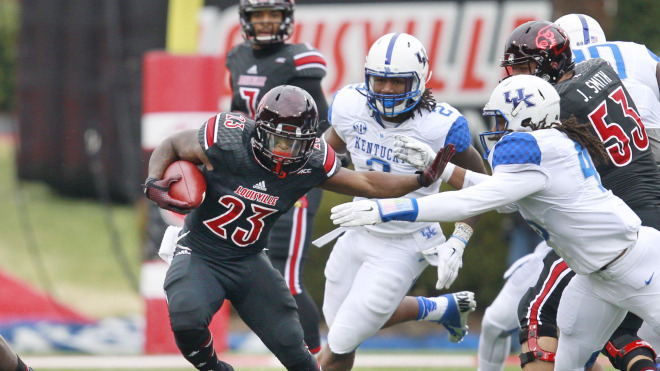 Brandon Radcliff, who exploded in the second half of the 2014 season, will return as the primary ball carrier. Other running mates who look to fill the stable are L.J. Scott and junior college transfer Jeremy Smith who turned a lot of heads in the Spring Game with his play-making abilities. Add incoming freshman James Allen and the UofL running attack should be a highly durable and resilient group to contend with. My only concern regarding the ground attack, as in other recent years, will be the cohesiveness of the offensive. As with other groups, there are a lot of new faces and even more big booties on campus to block up front. Optimistically, I am pulling for OL Coach Chris Klenakis to work some magic this fall. Next up, the wide receiving corps. While many expected a likely drop off in talent and production at the wide receiver position this upcoming year, this group could be one that surprises Card fans the most abundantly. First and foremost, a seasoned and a more polished James Quick returns for his junior year looking to finally live up to the hype. And despite the departures of legend DeVante Parker and the uber reliable Eli Rogers, the Cards roster will still feature several guys who can make plays and stretch the field. 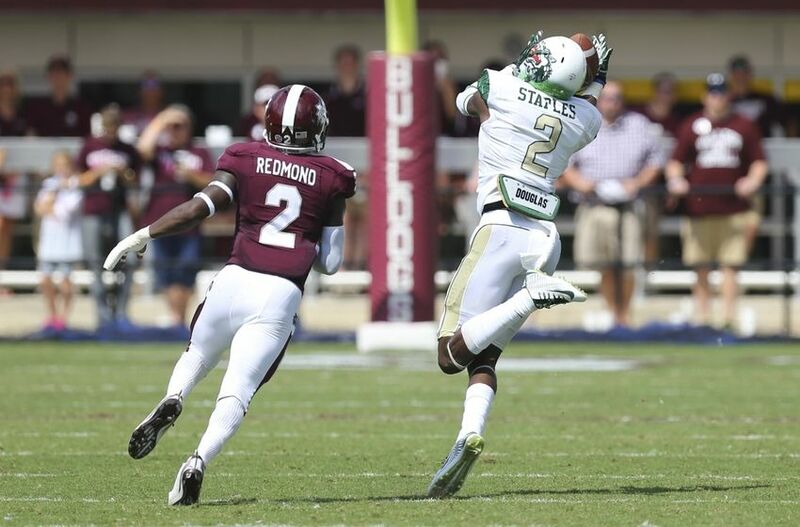 The most notable newcomer at the WR slot is UAB transfer Jamari Staples who showed great promise throughout the spring. Others who look to make a names for themselves are sophomore Javonte Bagley and freshmen Traveon Samuel, Jaylen Smith (son of former Jacksonville Jaguar All-Pro Jimmy Smith) and Devante Peete. 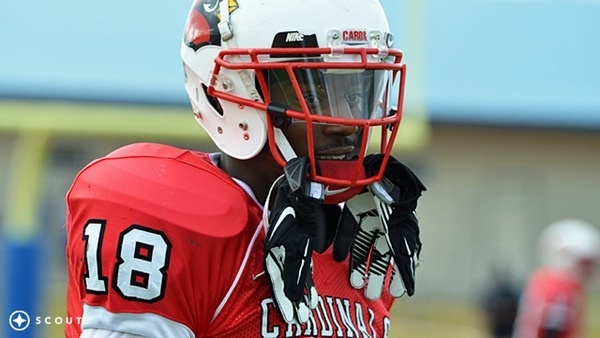 Just knowing that UofL will have yet another WR with the first name Devante is enough to make me all warm and fuzzy. But all jokes aside, I look for the Cards to put up big numbers at the receiver position. And although not technically a wide reciever, one last name to remember is GG Robinson, a 4 star studded freshmen recruit who spurned Auburn University at the last minute to sign with UofL. Although he was recruited as a defensive linemen, it will be interesting to see if Coach Petrino and Coach Lamar Thomas (wide receivers/tight ends coach) give Robinson a look or if they will forfeit his talents to defensive coordinator Todd Grantham. Regardless, the Cards are in good shape at TE with the experience and talent that Charles Standberry and Keith Towbridge bring to the table. Last season proved to be an oddity as a Bobby Petrino lead football team actually leaned on it’s defense as it’s ace in the hole. Despite the departures of program changers such as Lorenzo Mauldin and Gerald Holliman, the 2015 UofL defense looks primed and ready for another banner year. There will be a lot of new faces on the field but certainly no shortage of talent. Transfers Josh Harvey-Clemons and Shaq Wiggins look to stabilize the defensive backfield and the return of LBs Keith Kelsey and James Burgess as well as DE Sheldon Rankins should anchor a squad that gives opposing team’s offensive schemes fits. Todd Grantham will continue to lean on other experienced returnees like Johnny Richardson, Pio Vatuvei, Keith Brown and Jermaine Reve. But in my opinion, the biggest story surrounding the 2015 Louisville defense isn’t the Georgia transfers or returnees with a proven track record. Instead, the biggest potential difference maker will be Devonte Fields. Fields, a former 5 star high school All-American recruit who was tabbed as the Big 12’s preseason defensive player of the year in 2014, left his former school (TCU) before last season began as a result of a misdemeanor assault charge. After doing it’s homework, UofL was comfortable offering Fields a full scholarship giving him a second chance and in return providing itself with one helluva playmaker. In a nutshell, Bobby Petrino has got a new wave of momentum surging forward with the Louisville Football program. 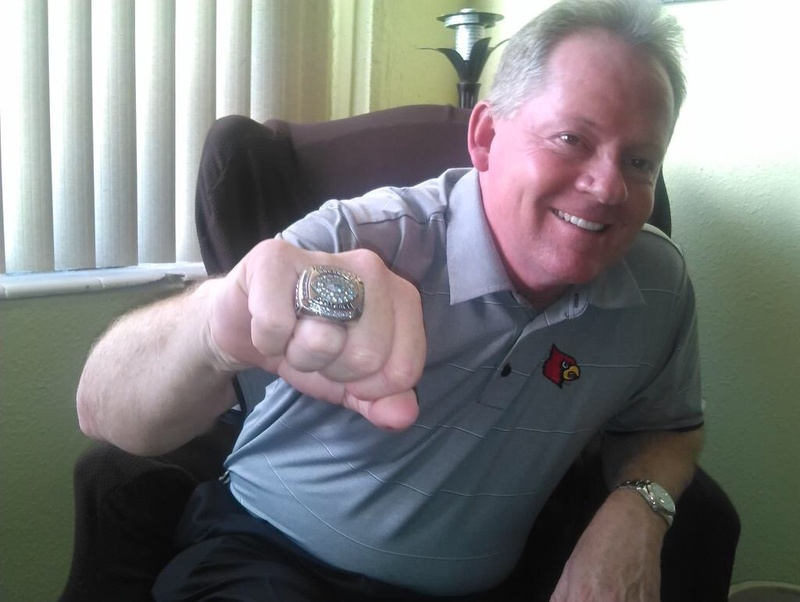 As solid of a job former coach Charlie Strong performed, Petrino looks to take the Cards to even higher heights. A second season competing in the ACC will prove to be a challenge but with the returning players having received a year of tutoring under their belts it looks to be a promising one. A potential 5th straight win in the UofL/UK series looms ahead as well as another shot at the Seminoles of Florida State. 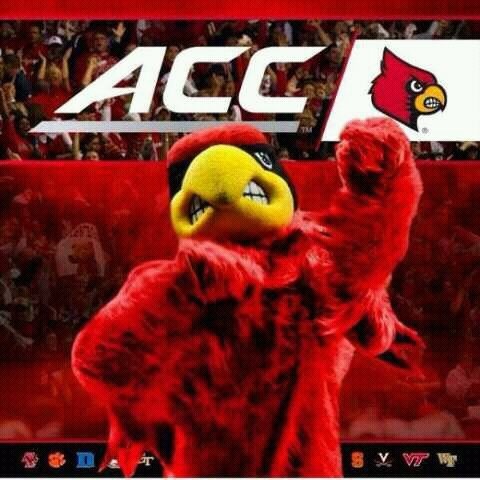 Additionally, UofL will aim it’s sights on the loftiest of goals – a potential BCS Bowl bid. Enjoy your week Card fans, and of course…….Happy Derby!